Tuesday, June 20, 2017 - This month, Guitars for Vets (G4V) — a non-profit organization dedicated to providing free guitars and lessons to Veterans struggling with physical injuries, Post Traumatic Stress Disorder (PTSD), and other emotional distress — celebrates ten years of helping those who have served heal through music. To celebrate this milestone, and bring awareness to National PTSD Awareness Day on June 27, the organization has partnered with online music gear marketplace Reverb.com. To help G4V continue its mission, Reverb.com will donate 100 percent of proceeds from Reverb guitar tuners sold between June 20 and PTSD Awareness Day on June 27. The music gear marketplace — which regularly donates accessories to G4V and helps the organization raise funds through the Guitars for Vets Reverb Shop — aims to raise $10,000 to put 50 additional vets through the program. 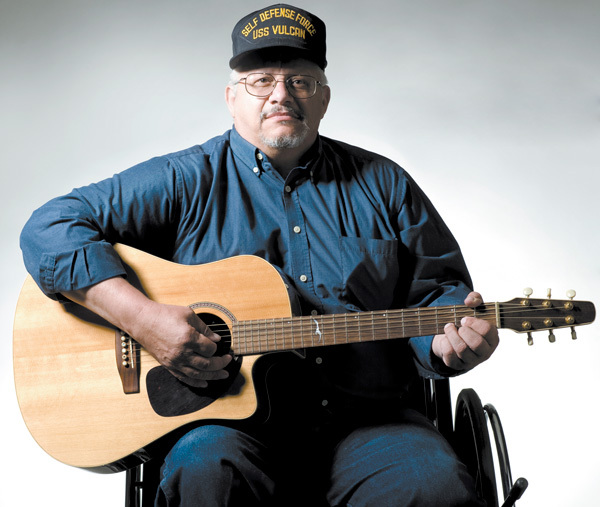 Guitars for Vets currently operates more than 65 chapters in 35 states with the assistance of volunteers, the Department of Veterans Affairs, and community-based medical centers worldwide. To support Guitars for Vets, purchase a Reverb tuner between June 20 - 27, shop the Guitars for Vets Reverb Shop, or make a donation. You can also donate instruments by contacting 1-855-G4V-HERO.